Airborne Oil & Gas has announced that Renato Bastos has joined Airborne Oil & Gas, as Vice President Brazil, strengthening its presence in Brazil. In this role, Renato will be responsible for delivering the company’s roadmap to qualify the thermoplastic composite pipeline (TCP) riser for dynamic application in deepwater Brazil. As a global leader in TCP, Airborne Oil & Gas started a qualification programme in 2018 for dynamic TCP risers intended to be deployed in deepwater off the coast in Brazil, including for pre-salt environment. 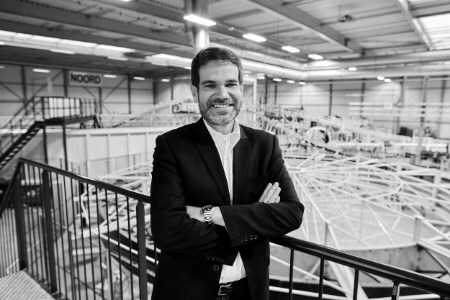 Renato Bastos brings with him over 20 years’ experience with a strong background in the SURF market for installation of flexible pipe, having worked in number of positions including Ship Operations Manager and Technical Director. Most recently, he held the role of Projects Director of Subsea for Ocyan. With his experience, he is well positioned to lead the development and qualification work of the TCP riser, and develop the Brazilian market, which is a strategic market for Airborne Oil & Gas.